I am teaching at LCI Kids Club in Suji, South Korea this year. Here is the website if you're curious. Be warned almost everything on the website is in Korean. 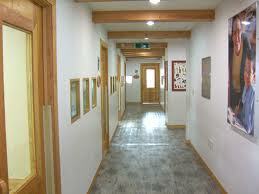 Let's see what Google Images has to say...I found a random picture of the hallways. And here is the location on Google Maps if you want to play around and see how far away from Seoul it is, etc. My apartment is about a 10 minute walk from school and all the teachers live in the same block. The streets with the little boxes are weird. I'm guessing those are roads? Seems like it is hard to get around by car. That's nice though that you're only 10 minutes walking to school. Hello, I am looking to interview with this school, can you send me your contact info so I can ask how the rest of our experience tuned out?